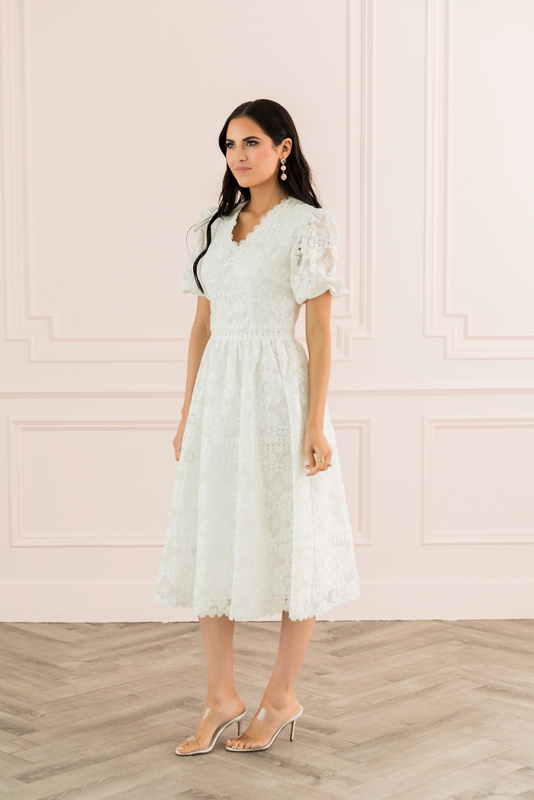 Airy lace—accented with delicate daisy appliqués at the V-neck and hem—extends the vintage romance of an A-line dress finished with sheer puff sleeves. 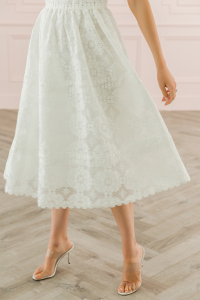 This timelessly elegant look is part of a collection of dresses and other apparel designed for making memories. 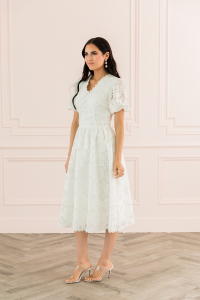 I would wear this dress with a neutral pair of pumps for a dressy family occasion or a fancy brunch.